Fine Gael General Secretary Tom Curran was rushed to hospital yesterday morning after he collapsed on the second day of the party's Ard Fheis. Mr Curran took ill just before 9am in the foyer of the Citywest Hotel on the outskirts of Dublin. 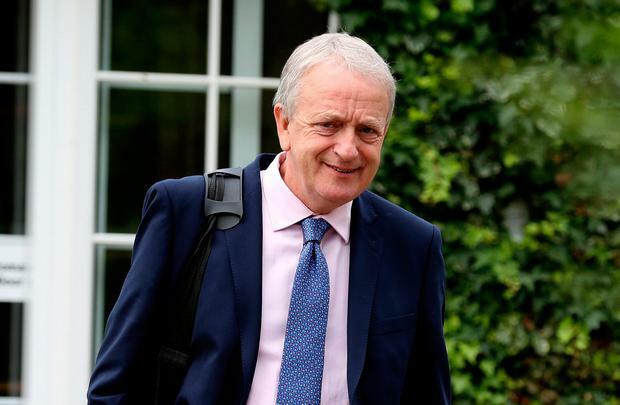 A number of Fine Gael members were present when the long-serving secretary general became unwell as the second day of event was about to begin. It is understood he was in conversation with Fine Gael's head of research, Terry Murphy and Cork Senator Tim Lombard at the time. A number of other Fine Gael members were called and asked to provide medical help for Mr Curran as they waited for an ambulance to arrive. These included Dublin Bay South TD Kate O'Connell and Dr Ahmad Jamal, who is in the running for a place on the Fine Gael national executive. An ambulance arrived soon after and Mr Curran was taken to hospital for further examination. Mr Curran checked out of hospital and returned to the Fine Gael Árd Fheis last night. Mr Curran has been central to organising Fine Gael conferences and ard-fheiseanna for almost two decades. In recent months, his focus has been on organising selection conventions for European, local and general election candidates. Writing in yesterday's Ard Fheis programme, Mr Curran said: "As we approach the end of the year, we are preparing for the local and European elections which are scheduled to happen in 2019 - and preparing also for a general election, which could happen at any time. "We must and will be ready. In all three cases, we are dealing with significant boundary changes. "The local elections, in particular, pose a significant challenge, with conventions required in 166 electoral areas. We expect to have the bulk of these completed before the end of the year," he added.